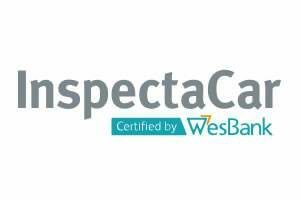 InspectaCar is the only second-hand vehicle franchise certified by WesBank and is a trusted partner for both customers and dealers in the used car market. Its franchisees are committed to providing a wide choice of quality pre-owned cars complete with excellent service ensuring that second-hand will never feel second best. To join a franchise that is certified by WesBank, a market leader in asset finance with over 40 years of experience in the business, giving franchisees instant recognition in the used car market. InspectaCar is in a strong position to cater to the new generation customer because of its WesBank connection. Leveraging off WesBank’s expertise and digital enablement solutions like FastTrack, online services, Wshop etc enables InspectaCar to provide a competitive edge that would not otherwise be possible. InspectaCar, now in its 16th year of operation, was born out of a vision to uplift and professionalise the used car market. The first dealership was launched in Pretoria in 2002. From its inception, the company has focused its energy and activities on satisfying and creating convenience for the customer. Franchisees are driven to deliver quality second-hand vehicles customers can trust. In addition to selling cars, InspectaCar dealers provide finance, insurance, as well as other value-add essentials within the buying journey. We are a one-stop-shop for the customer. We have partnered with VUCA Consulting, which has a proven combination of technology, experience, and skills. VUCA Consulting has extensive knowledge and understanding of eLearning Solutions and Content Creation. We offer the following in the form e-Learning courses; • SuperStar Customer Service • Virtual Sales Training • Complaints and Resolution Handling We also offer Sewell’s training for Owners and Dealer Principals, covering a variety of topics to provide the delegates with the skills required to manage an InspectaCar outlet. In addition, Sewells provides Sales Managers with selling skills as well as training as to how to source used stock and secure deals.